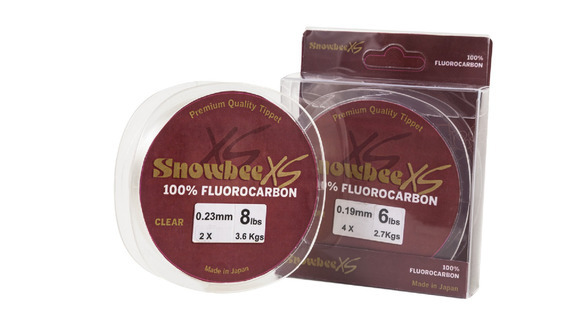 A superb new-generation of Fluorocarbon line, manufactured using the latest 21st century PVDF technology, to produce a genuine Fluoropolymer with superb fishing characteristics. Exhibiting all the benefits of modern day fluorocarbons, the technology has improved to specifically identify and enhance the characteristics required for the perfect fishing line. Fluoro-tec has all the qualities in the perfect combination, to produce the ultimate clear water leader! A superb, new-generation 100% Fluorocarbon, manufactured in Japan using the very latest 21st century technology, producing a leader material of extreme quality and smoothness. Exhibiting all the benefits of modern day fluorocarbons, the advanced technology has specifically identified and enhanced the characteristics required for the perfect, tough, high quality line demanded by today’s progressive fly fisher. XS Fluorocarbon has every feature one needs for the best subsurface, low visibility leader material. This is the very latest generation of Snowbee double strength Copolymer nylons, superseding all that have gone before. 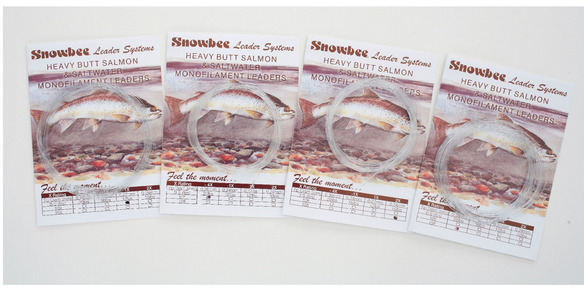 Completely clear, this material has low stretch but superior in-line and knot strength for excellent presentation and fish holding performance. With great suppleness and low memory this product is ideal for the dry fly angler especially and even suitable as a quality main line to be used with our Raptor spinning reels. A smoother, softer, stronger, clear leader material than we have ever had before. 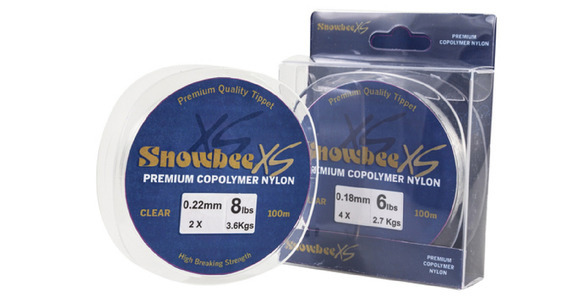 A range of top quality tapered Monofilament Leaders, using our super strong, low diameter copolymer nylon material. The 9ft leaders have a long taper and short tippet for easy turn over, ‘ready to go’ general use and are suitable for applying ones own choice of additional step-down tippet lengths if required. The 12ft leaders are specialist Dry-Fly Leaders with a steeper taper and a 5½ft tippet, for the ultimate delicate presentation with no modifications needed. Available in 10ft and 15ft lengths.